This article looks at the different pros and cons of solar energy. By reading this article, you will discover what makes solar energy one of the most popular renewable energy sources in use today. You will also gain an insight into the various drawbacks of it. Solar energy is a renewable and sustainable energy source. The sun will support life on earth for as long as it shines. Therefore, we can rely on it, unlike other sources of energy. For example, reserves of fossil fuels will one day run out. We can use solar energy as an environmentally friendly alternative to fossil fuels. Unlike fossil fuels, solar panels do not produce carbon dioxide or methane – two gases that contribute to global warming. 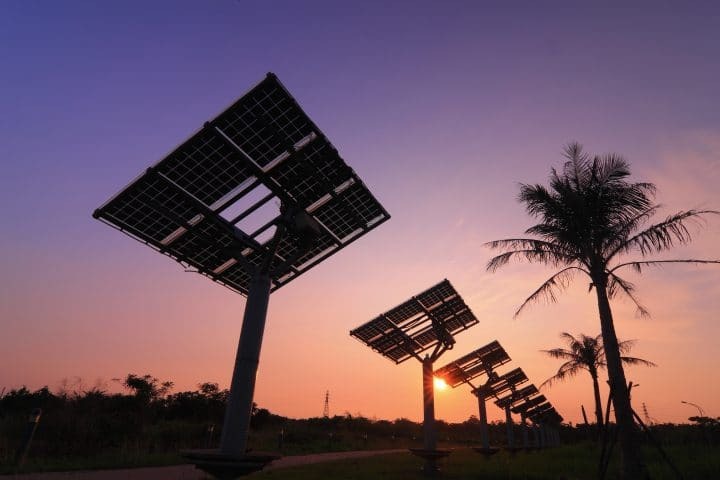 As a result, the environment can benefit from the use of solar energy technologies. Solar cells will quickly offset any pollution they produced during the manufacturing process. They do this by providing a source of clean energy that might otherwise have been produced from the burning of fossil fuels. Solar panels are a viable option for generating electricity across a large area of the earth. You can find solar energy in use everywhere from Alaska to Australia. Even the South Pole has invested in solar energy technologies. We can use solar energy in different ways. We can use it to generate electricity, but we can also use it to heat our water. Because of this, solar energy is more versatile when compared with other clean energy sources. By making use of solar energy, we can help to reduce the amount of energy we might need from external supplies. By using solar energy, we can reduce the need to burn fossil fuels. This can help to conserve dwindling supplies of the earth’s natural resources. Most importantly, this will help to support future generations. After the installation of solar panels, there is little noise associated with the technology. You might hear a slight hum if you stand next to a solar panel, but that’s about it. Because of this, many people consider solar energy to be a low noise energy solution. Other renewable energy technologies can be noisy. For example, wind turbines can create significant levels of noise pollution. This can lead to disputes, legal action, and protests. We can use solar energy completely free of charge. After the initial cost of a solar energy system, there is no charge for the energy you consume. As a result of this, solar panels will help to reduce your monthly electric bills. Solar panels require a large footprint to be able to generate enough electricity to power a building. Whilst this is sometimes a disadvantage of solar energy, engineers can install solar panels onto rooftops to mitigate the issue. A key advantage of solar panels is that they are low maintenance. The lack of moving parts in a solar cell reduces maintenance significantly. Because of this, they can be left running for years without experiencing any problems. You should clean solar cells at regular intervals to ensure peak efficiency. Apart from this, they are very low maintenance when compared with other clean energy solutions. 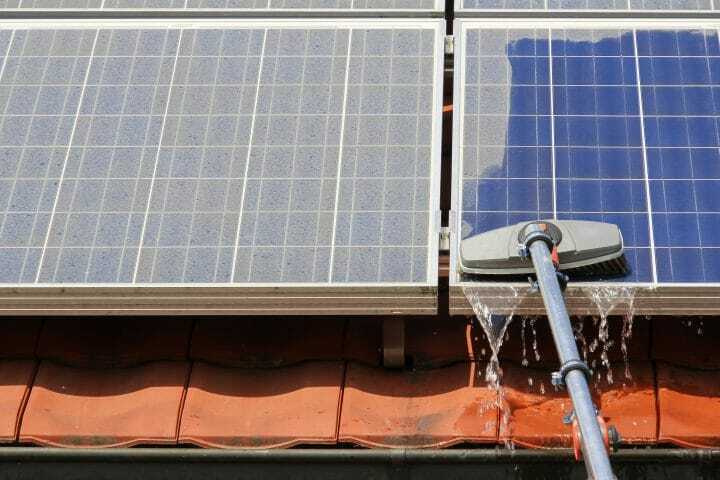 You can clean solar panels to improve their efficiency. Solar energy is completely free to use. As a result, solar panels have low running costs. After the installation of solar panels, the only cost you are likely to encounter is for any maintenance you might need. Solar energy has the potential to generate electricity in remote locations. It might be impossible or very expensive to run power cables to these areas. Because of this, solar energy can be a wise investment for remote electricity production. We can use solar energy as a portable power option. For example, devices exist that can charge a smartphone directly from the sun. Even the aviation industry is tapping into the benefits of solar energy. A key example of this is the recent Solar Impulse project. This project saw a solar-powered plane fly 40,000km around the world. The project is helping to pave the way for a new generation of portable solar technologies. A well-designed solar energy system should provide a return on investment (ROI) over its lifetime. Government tax credits and state grants are sometimes available to help speed up ROI and help turn a profit. Some countries even offer a ‘feed-in tariff’. This process allows any excess electricity a solar panel might produce to be sold back to the grid. This can help to accelerate ROI and bring in a steady income. We can use solar energy to reduce our dependency on foreign energy supplies and increase ‘energy security’. This is a term used to describe the association between national security and the availability of natural resources for energy consumption. War, sanctions and other political issues can all have an effect on a country’s energy supply. Therefore, when we produce our own energy, we are less vulnerable to such factors. Technological advancements in the solar energy industry are helping to drive the efficiency of solar panels. Modern solar cells are far more efficient than those produced only five or ten years ago. Whatsmore, they are on track to see a further increase in efficiency over the coming years. The emergence of solar energy technologies has led to a big increase in demand for such systems. As a result, this has helped to create a global industry of manufacturers, suppliers, and installers. This industry has created jobs for many people right across the globe. The upfront costs of installing home solar power systems can run into the tens of thousands of dollars. This upfront capital is hard to find for many homeowners. Some people might even choose to take out loans to fund their project – a process that would add even more cost. The initial cost of solar panels is one of the most important factors in our solar energy pros and cons list. Solar energy is only present during daylight hours. Because of this, we can’t use solar panels to generate electricity during the night. This makes them useless when it’s dark. We can use batteries to store electricity for use at night. The problem with batteries is that they are expensive and take up lots of space. Most importantly, they might not provide enough energy storage for the needs of a busy household. This can lead to electricity shortages during the night. Seasonal changes in daylight hours further influence this disadvantage. Solar panels will generate less electricity when the nights are long and more when the nights are short. Solar panels can’t generate electricity in the dark. Various atmospheric conditions can have a negative effect on solar panels. Long lasting periods of heat and humidity can reduce the performance of a solar cell. Delamination of solar panels can sometimes occur in these conditions. Pollution can also reduce the efficiency of solar panels. Because of this, they can be a less viable option for those living in highly polluted towns and cities. Cloud cover and fog can also reduce the efficiency of a solar cell. Solar panels often require a large footprint to provide enough electricity to power a building. Compared with other renewable energy technologies, solar panels have the largest footprint for the power they generated. As a result, this will be of concern to those who might not have enough space for the installation. You can mitigate this issue by installing solar panels onto an existing rooftop. Although solar panels do not produce pollution, the manufacturing process of them does. Solar cells contain silicon which is extracted from raw materials in a blast furnace. This process releases large quantities of greenhouse gases into the atmosphere. As a result, the manufacturing process of solar cells can be bad for the environment. To sum up, on the plus side, solar energy is a sustainable and environmentally friendly energy source that can provide power in many parts of the world. On the downside, the technology is relatively expensive, can only generate power during the day and is sometimes vulnerable to atmospheric conditions. We hope you enjoyed reading this article. If you would like to compare the advantages and disadvantages of other renewable energy sources, then why not take a look at our geothermal energy pros and cons article or our list of wind energy pros and cons.